Yes MERC as in Mercenary. This BT Paintball vest is for the guy everybody wants on their team. Heavy Gunners, you can carry over ten pods just on the FRONT of this thing. Mercenaries tend to engage in all types of battle. 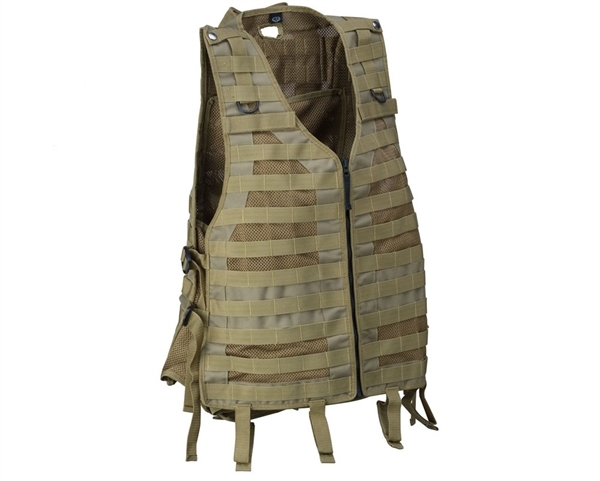 With this vest you can do it all. Carry enough paint for your squad, run a side arm or two, radio, grenades, GPS, first aid kit, you name it, the MERC Vest from BT Paintball can carry it. SIZE CHART: S/M - Front Length 24" - Chest Measurement 44-50" L/XL - Front Length 25" - Chest Measurement 46-54" 2XL/3XL - Front Length 27" - Chest Measurement 48-60"
Elastic and Velcro waist belt, secures even the heaviest of loads. Drag handle, so your buddies can drag your worthless body back to the rear.